Latics owner Abdallah Lemsagam said: "Paul has won everything there is to win in football. He is a man who will bring a lot of footballing knowledge and his hunger to succeed in management will be there for everyone to see. 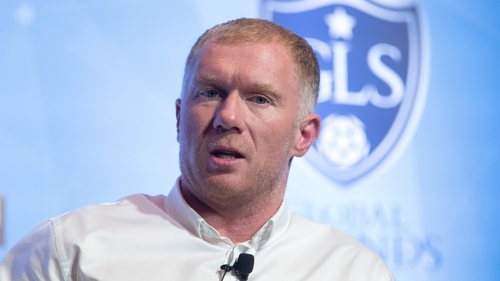 Scholes, who owns a stake in Salford, will step down from his role as director of the National League club and revealed he had thought long and hard about embarking on a managerial career and was delighted to get started. "But now I feel, I hope, the time is right to give it a go and hopefully we can be successful together." "Although Paul was never operational in Salford City he will resign as a director of the football club, allowing him to focus completely on his new role at Oldham," Salford said in a statement on their official website. "From the start we have always said that each of the Class of '92 would offer different levels of commitment dependant on their individual roles. "Salford City is a long term interest for the Co92 and Paul will retain his 10 per cent shareholding in the club." The English Football League gave Scholes the go ahead last week to take charge of Oldham, ruling that there was no conflict of interest.